Start your day with a pick up from your centrally located hotel or Park Zrinjevac. Hop in an AC vehicle for a drive towards the capital of Slovenia. Your guide will share interesting stories about Croatia and Slovenia. Hear about the charms of both countries and all the dynamics that carved them into countries that they are today. 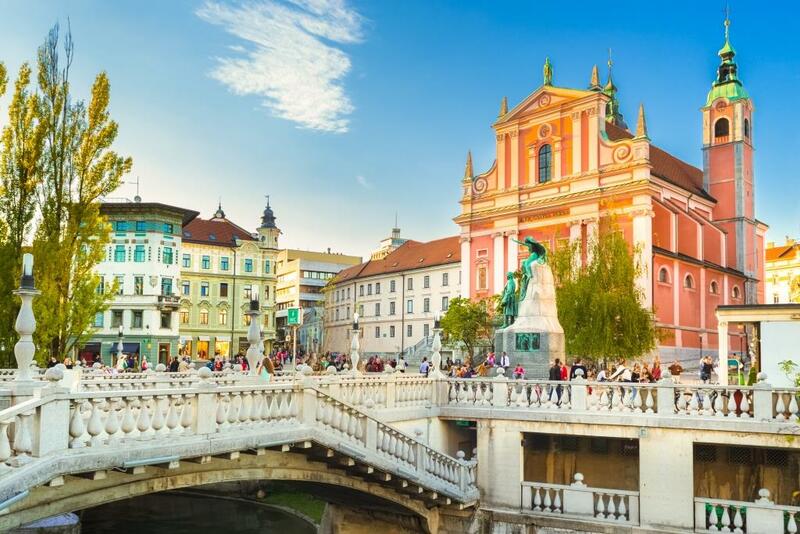 Kick off your Ljubljana experience with a walking tour accompanied by a licensed local guide. Get enchanted with stunning beauties of this lovely place. You will also visit the Ljubljana Castle from where you can soak up the aerial views of the city. A small, but a big-hearted city offers you a variety of architectural styles, rich history and quirky bridges with dragons. Begin your quest of Lake Bled with an impressive medieval castle that dates back to 11th century. Standing proudly on a steep cliff 130 meters above the glacial lake, you can enjoy mesmerizing views of the Julian Alps, the Church of the Assumption of Mary on the rock islet and the surrounding nature. Stroll next to the lake and enjoy more breathtaking vistas. Become one with nature and try the famous cream cake from Bled.